This HHKB tour is open to permanent residents and citizens of Australia only! Sorry everyone else! I have a rubber band modded HHKB with blank keycaps and I feel like it is far too hard to try Topre keyboards in Australia. To try alleviate that problem, I am offering my HHKB up for a small tour of Australia! Let it see the nation! I will include a piece of paper with the keycap function on it to make it easier to use. As stated above you must be a permanent resident or citizen of Australia. This is to make following up on people easier. You must be willing to supply a residential address, name, email, valid mobile number and something else we can use to identify you if anything goes wrong (photo of your drivers licence). You must be willing to ship the keyboard to the next person using an express postage service with tracking (i.e. couriers or AusPost Express). You will have to provide the tracking number to me as well as whoever you are posting the board to next along with the website of the courier company. You must only hang onto the board for a max of 7 days and if you cannot ship it to the next person within the 7 days, you must get in contact with them and me and arrange an extension of a maximum of 3 days. You must not kill or damage my keyboard! (you'll have to cough up a brand new keyboard if you do...........) If you do accidentally damage my keyboard, you must report to me the damage and you'll have to pay a hefty compensation fee depending on the damage. If it's something very minor, still tell me and we can go from there. As stated above, please don't damage or break my keyboard. It will be painful for both myself and you! There will be a cut off for how many people can participate. At this stage I am thinking of about 10 or 15 people at most. If this round 1 works out without any problems, I can try arrange a round 2. There is also a min number of people for this to happen. Currently I am thinking we need at least 3-5 people. Also, there is a cut off date. You must apply before 31/12/2014. You will also have to send a photo of your drivers license or government issued identification (i.e. passport if you don't have a drivers license) once you are confirmed by me. The photo must also include a note with your Reddit username and date just to make sure it is legit and is yours. This is mainly as a security layer to prevent theft and for the sake of liability of any damages. Everyone may have to pitch in something between 1-4 dollars depending on how many people apply to cover the cost of me shipping this keyboard out to the first person! If the first person however lives very close to me (Lower North Shore, Sydney), this payment can be mitigated. To apply, please complete this form. Completing this form means you agree with the rules laid out above. Check back here if you want to know the latest that is happening with this tour. We have 2 people registered. Edit: Identities confirmed! This is a list of people who has confirmed their address with me after applying to be part of this tour! Last edited by Jersern on 09 Dec 2014, 07:04, edited 4 times in total. Nice idea, finally a Topre tour for the Aussies. I enjoyed trying 002's Realforce up here in Europe, and recommend a trial for people who're on the fence. The HHKB is a hell of board and well worth trying in person. Yeah DT usernames work out just fine! Just specify what forum you're from so I know where I can find you. (That was a minor over sight due to originally posting on Reddit.) I have tried all too many times asking people around the world to be so kind as to lend me their board and since I got HHKB I thought it would be great if us Aussies could all finally have a go at a Topre! Bump Not that it's really needed. I promise I'll remove the rubber band mod from the ESC key this week! Hi, Jersern. Is the keyboard still with you? 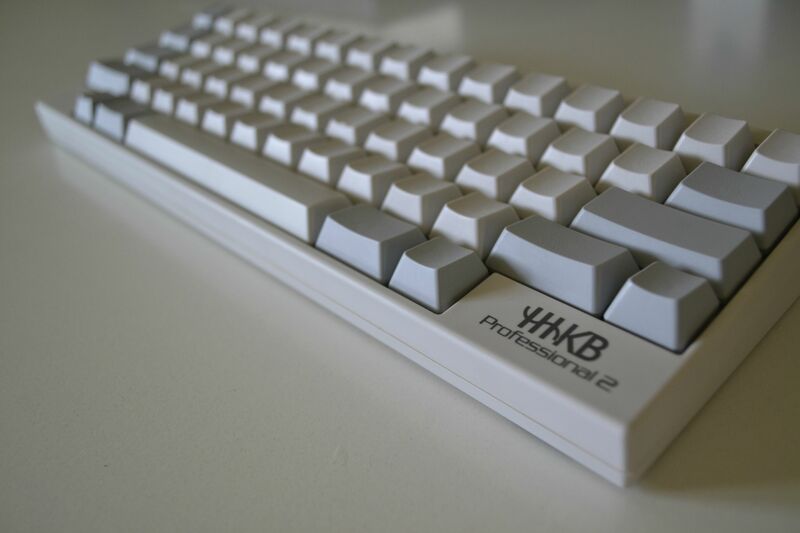 I am in Sydney and would love a test ride (so to speak) of the HHKB.